Call for help. Even if the damage and injuries seem minor, call the police and report the accident. If there appear to be any injuries at all, it is a good idea to request an ambulance. When the police arrive, they will investigate the accident and write a report that could be helpful if you need to file a claim or have cause to sue the other driver. Gather information. Even though it should be in the police report, get the names and contact information of anyone involved in the accident as well as any witnesses. If others at the scene are uncooperative, be sure to at least get their license plate numbers and the police officer’s name and badge number. Take photos. Taking photos with your cell phone will help document the scene and the damage done to your vehicle before the site is cleaned up. 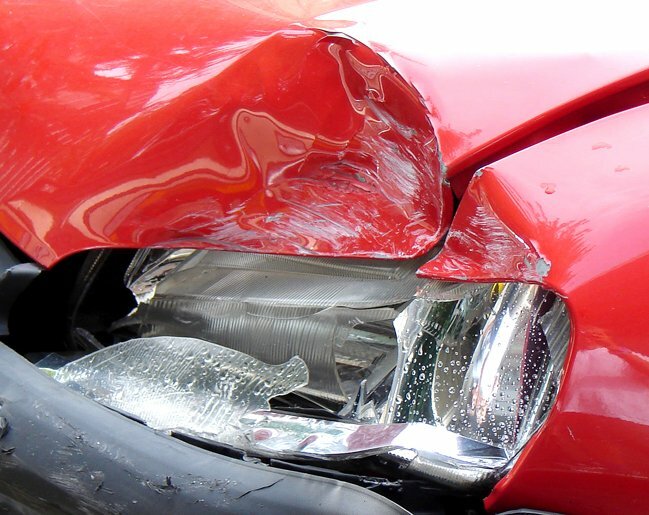 This can help experts determine how the accident occurred if fault becomes an issue later on. Also get photos of license plates and the surrounding area for additional evidence. Watch what you say. No matter what happened, avoid saying anything that could be construed as admitting fault. Something as simple as apologizing could be taken to mean you caused the crash. Other than answering the police officer’s questions and sharing your name and contact information, you do not need to say anything else. Notify your insurance company. Let your insurance agent know as soon as possible about the crash. Do Not Sign Anything. If you are contacted by the other driver’s insurance company, do not agree to sign anything and do not allow them to record a statement from you. Call an attorney. If you are injured in the crash, it is in your best interest to contact an attorney to discuss your claim. Medical bills can pile up quickly and you may be entitled to compensation from the other driver. The sooner you call an attorney, the better. Get Your Questions Answered Now With My FREE CAR CRASH GUIDE.